Nashville is a great town for free outdoor concerts, and the new East Side Hootenanny event is the latest to join the mix. 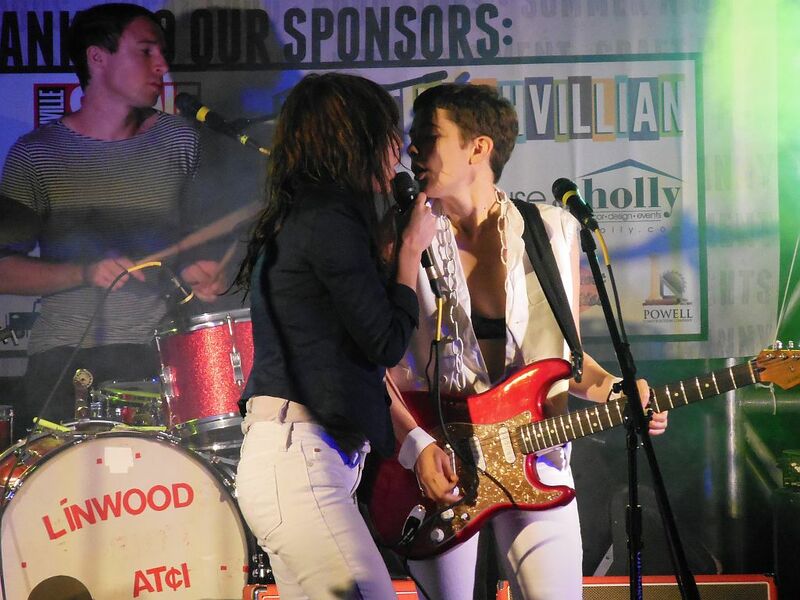 I was quite excited to see the recent show there by Nashville’s own, Those Darlins. It turned out to be a lovely spring day, and I arrived late afternoon to an East Park full of folk out enjoying a day full of music, food, and fun. The spacious park offered plenty of room for everyone to spread out. There was ample room in front of the makeshift elevated stage to sit down and enjoy the music up close by lawn chair or blanket. Having listened to the Darlins’ music most of the day, I was ready for some dirty countrified rock and roll. I got there in time to catch the last half of a set by the white-tuxedo and blue-party dress clad lounge lizards, Magnolia Sons. Disappointingly, the night’s running order was changed, and I next had to listen to the acoustic Americana sounds of The Vespers before getting down and gritty with the gals Darlin. 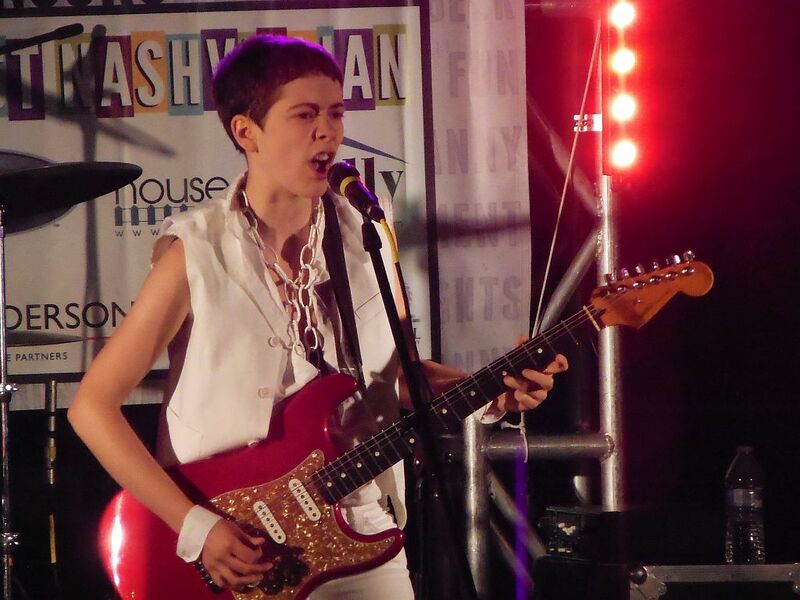 Even though my current state of mind had me a bit impatient with The Vespers, it goes without saying that the band’s Phoebe Cryar is one amazing singer. Those Darlins hit the stage just as it was getting dark, and the imposing 10 p.m. curfew allowed for only a 40-minute set. 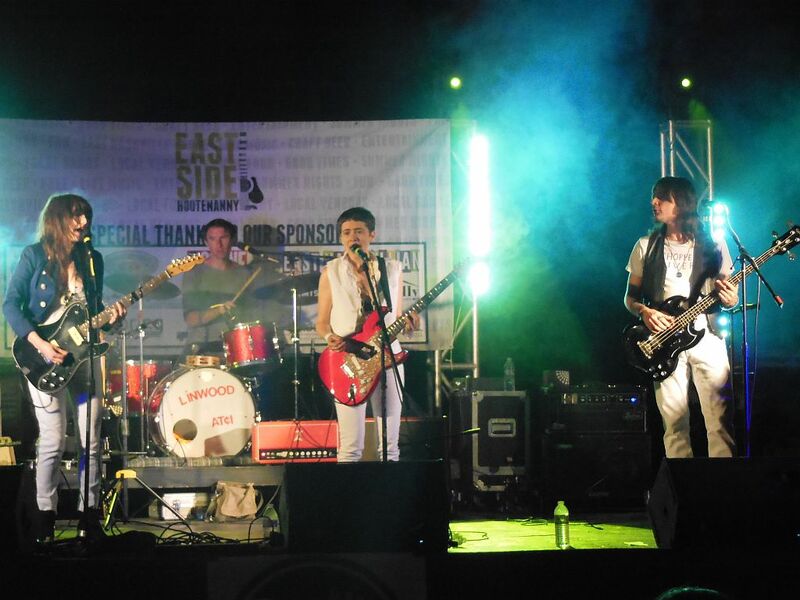 That proved to be just enough time, however, to satisfy the dwindling crowd who remained to see the band mostly debut songs from their upcoming new release. Jesse and Nikki Darlin lead the band. (Could they have studied how to adopt stage names at The Ramones’ school?) Backed by a two-man rhythm section, Jesse carried most of the lead vocals while Nikki shined on guitar. Like The Ramones they maintained a tough, take no prisoners attitude. Diminutive, yet intimidating Jesse sported more snarks than smiles. 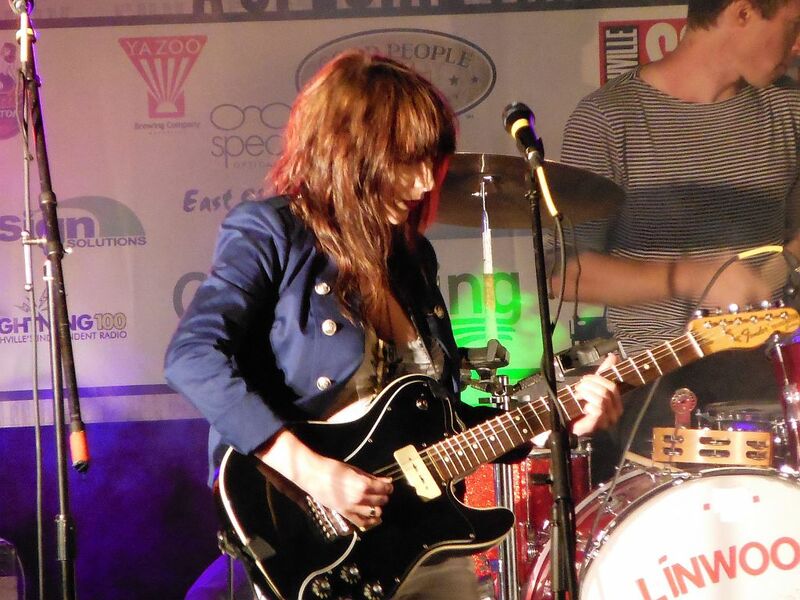 Likewise, Nikki took a tough girl stance while playing a mean lead guitar. Looks and attitudes aside, the Darlins played an enjoyable set of fresh songs that brought to mind the “cow punk” scene that grew out of Austin in the late 1980’s. Whatever you call it, they are now on my list of local bands I don’t ever want to miss seeing live. My only disappointment was that this evening’s test drive of new songs kept “Be Your Bro,” one of my fave songs of 2011, off the set list. Hopefully, next time.